Many brides are mesmerized by the warm and alluring climate of a destination wedding at Walt Disney World or Disneyland Resort. 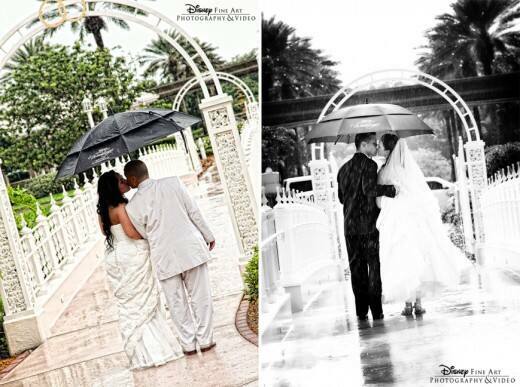 While the tropical conditions make for a beautiful ceremony and outdoor reception location, rain seems to be the biggest worry for our Disney's Fairy Tale Weddings brides. And I can totally relate- I chose to have my own fairy tale wedding outside. We've all heard that rain is good luck on your wedding day- and I've seen some of the most magical and breathtaking wedding photos take place in the rain! Sometimes things don't go exactly as planned, but know that even if it does sprinkle on your big day it will still be a special moment you'll remember for the rest of your life. 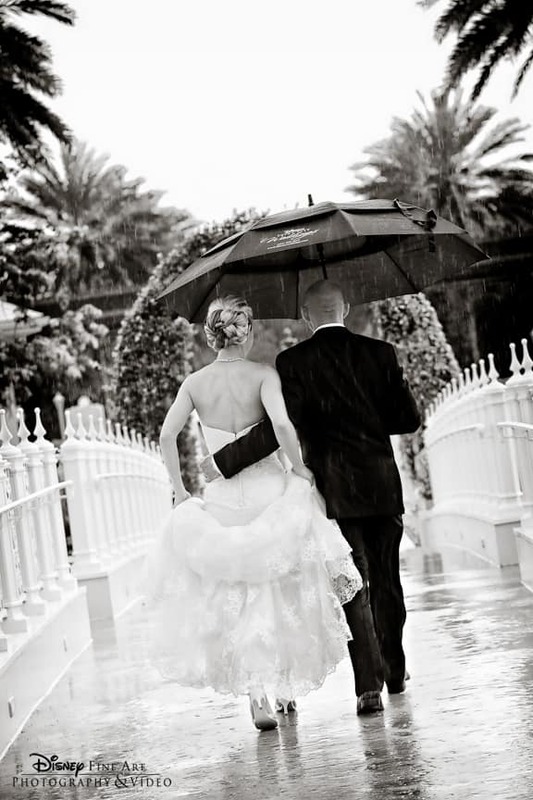 So grab an umbrella (and your new spouse) and get that rain "money shot"! Cherish it, embrace it and have fun.